Marking the transition from summer to fall, we'll practice a seasonal-themed yoga flow and enjoy local farm-to-table meal afterwards. In 2014, the UN proclaimed June 21st as International Day of Yoga to celebrate the universal benefits of practicing yoga. 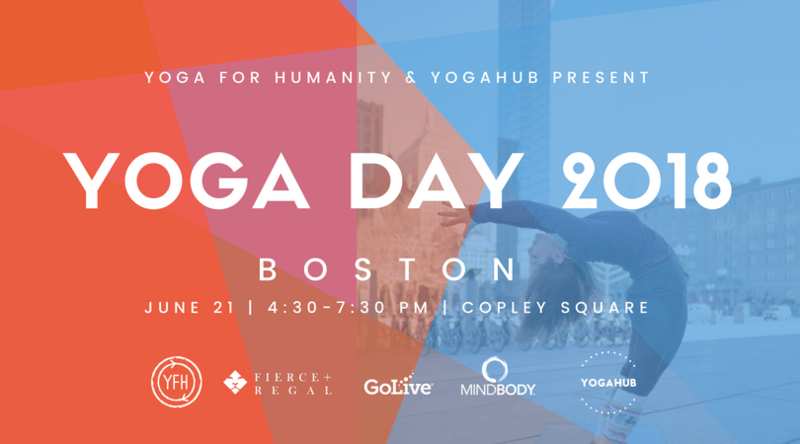 To celebrate the power of yoga to change the world, we are teaming up with YogaHub to offer a FREE outdoor yoga event in Copley Square in Boston's Back Bay on the evening of Thursday, June 21. *If you're interested in sponsorships or vendor tables, please contact us. Join us for a yoga class followed by a farm to table meal! We'll be at the Wild Vibes Yoga Fest in Rye, NH! Come by our booth to learn more about YFH and how you can get involved. A day to celebrate the power of yoga to change the world.